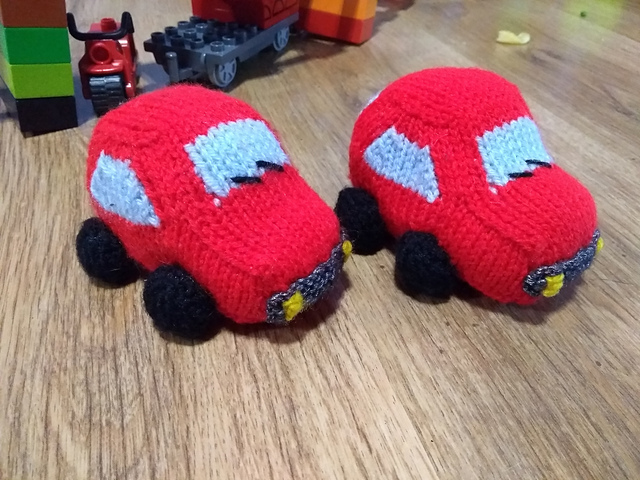 Home › Knitting › Cars! They’re in the street! Anyhow, on to the knitting! I’ve tried explaining that she can get away with doing these things this year, but next year will be a different story as he’ll be calling the shots! Aside from cars (expect to see a lot, lot more of these) I have a shawlette on the needles, which I’ve ripped out three times and changed the pattern twice…hopefully it’ll be finished one day! The total is going to go up, a lot, as I’m being gifted someone’s from Engels works recently deceased grandmother’s stash…when I work out how much I’ll add it to the total. Love the cars! Such a cute theme for Inklngs birthday – cant wait to see what fun games you produce! If Felix has any say it, lots!